100% (518) have seen it. 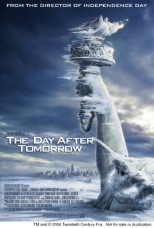 A climatologist tries to figure out a way to save the world from abrupt global warming. He must get to his young son in New York, which is being taken over by a new ice age.